Groups of people often emulate flocks of sheep. Sheep are not politically correct, but political correctness appears to be a subset of herd behavior. In October of 2012 I wrote that Political Correctness is a Communicable Disease. Political correctness (also known as rhetorical cowardice) involves being less than candid, not only about various protected classes but also about unprotected classes. Protected classes include some but not all members of racial (Black, Latin American and American Indian but generally not Oriental) and religious (e.g., Muslim) minorities, gender specific (Feminist and “gay”) and ideological (Librul) groups. Unpleasant truths must not be tolerated. Pleasant truths sometimes are not tolerated — although unpleasant untruths are encouraged — as to members of unprotected (conservative) religious groups (e.g., Jewish, Mormon, holy rollers and Evangelical) as well as otherwise protected racial (Black and Hispanic) and female (anti-abortion) groups. 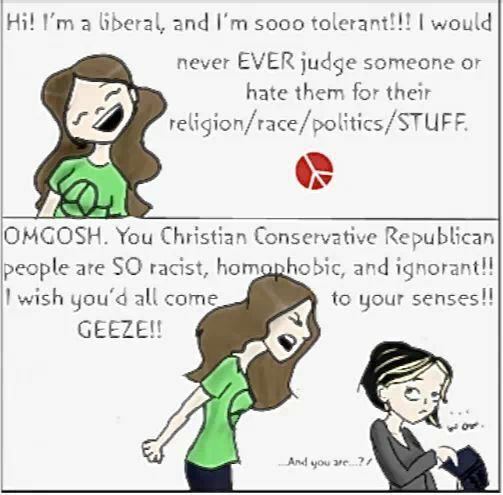 Please note the parenthetical observation that “tolerance” and “intolerance” are synonyms. Do “higher,” as well as lower education under herd common core, promote the common herd instinct of political correctness and apathy toward the state of our Republic? How about charter schools? Home schooling? Can they be different in good ways? Receiving “benign” attention from Government has become all important. It seems to be politically incorrect to tolerate such “trivia” as individual freedom and other “flaws” embraced by the hateful old Constitution. 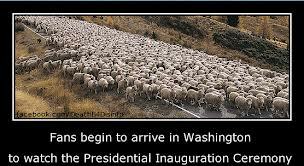 Herd instinct leads people toward apathy about our Republic; how many even know what a “Republic” is? Might it be sorta like the Democratic People’s Republic of Korea? Our Republic, mandated for the United States by the Constitution, was not designed to be like that. Does the herd instinct promote the rise of librul totalitarian religiosity and the associated politically correct apathy toward our Republic? I think so. Are there cures for politically correct apathy? Of course there are: education and the media. Unfortunately, they generally lead toward, rather than away from, political correctness and all that it involves. A&E’s recognition that it had caused its own clusterduck, followed by its course reversal in response to massive popular protests, is the only notable recent exception of which I am aware. A&E’s recognition of its clusterduck was the result, not of a change in its ideology but by concern about substantial reductions to its all-important bottom line. There’s power in our ability to generate such concerns. We need more, much more. But how are we to get it? Most people, I think, are reluctant to make controversial statements lest they become embroiled in controversy. It can be unpleasant, and unpleasantness must be avoided at all costs. Who wants to state — even the obvious — that the emperor is parading down the street in his underwear, when all “intelligent” people aver that he is wearing beautiful garments? Doing so would display one’s lack of intelligence — probably just a red-neck hick who doesn’t know any better. I wish I could find and suggest a simple way to bring about “change that we can believe in.” Sorry, I haven’t thought of one. Perhaps readers will have suggestions on what we can and should do and how we can do it. This entry was posted in 2014, 2016, Apathy, Benjamin Franklin, Bill of Rights, Bill Whittle, Common Core, Conservatives, Constitution, Culture, Democracy, Democrats, Duty, Elections, Executive Decree, Freedom, Government and individual choices, Government reliance, Gun control, Health Control, Hillsdale College, History, Honor, Integrity, Jonathan Turley, Law and Order, Libruls, Limitation on Authority, Meddling, Media, Nanny state, Obama, Obama's America, ObamaCare, Political class, Political Correctness, Politics, Society, States' Rights, Unified State of Obama, United States, Voting and tagged herd instinct, jonathan turley, obama, Political correctness, Republic, Turley. Bookmark the permalink. I accuse Turley and his neo-republicans of Flip-Flopping! When Bush and his neo-republican claque introduced the “Patriot Act” in order to fight a stupid war in Afghanistan (!?) without domestic opposition, and with extraordinary privileges, like torture, rendition, etc., they were all enthusiastic supporters. Indeed, most of them STILL support those measures! Same for the illegal immoral indefensible unending unfruitfull war on Iraq! I warned my republican friends (tho I had voted Bush in 2000) that they were playing with fire when they chose to defend and support such things that the democrats would be even worse when they got into power! And so it has come to pass! How could it not be so? Did neo-republicans REALLY think they could stuff the oppression genie back in the bottle when they wanted to? IDIOTS! Drunk on their own vanity! Deceived by lies intended to deceive the ignorant and untutored. Now Turley and Whittle and Miller can go and choke on their own bile! “Our fault is not in our stars but in our selves”. These things go in cycles in a functioning democracy like the U.S. Neither the right nor the left has a monopoly on reality and reason, and as one set of solutions fails to meet expectations, its proponents will be shuffled out of office. The solutions of the left, led by Obama, are going to fall short, just like those proposed by de Blasio will fall short in New York City. Since we don’t really have a functional center to balance left and right, we have no choice but to swing with the cycles. All of that depends on, in our system, two functional parties that are effectively organized and have a least a somewhat clear vision of where they want to go. Today, the Republican Party is much too strongly influenced by the far right. The Democratic Party is taking shots from the far left as, increasingly, Democrats in power fail to meet their expectations. One simple truth is this: neither fringe will ever govern — and we should hope that remains true. @ Sarah, oh for evermore…really? Sheesh…and mental eye-roll to boot. Let me just point out the obvious…Barack O is part white, and unless I’m mistaken although De Blasio is quite “red” from all accounts he too is a white American male. Why all the hate for white American males? Always a pleasure to read what Dan has to say on any given subject…this is no exception! Here’s some change you can believe in…Mayor de blasio and his beautiful family. This country set a precedent with the election of Barack Obama. Get Ready white-male America!!! That change, that’s visible to the naked eye, is here. White males who are feeling the pain of power loss are the ones who are whining the loudest!